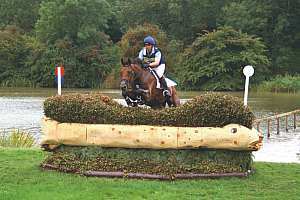 Cross Country is a dangerous sport, and tragically a number of riders have been injured during competitions, some fatally. 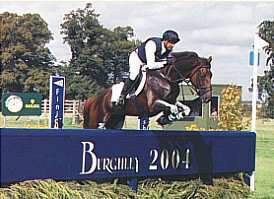 Some accidents have been caused by movement of the jump and in some countries, including the UK, it is forbidden to organise competitions with unfixed jumps. Our spiral ground anchors have been used for many years and are fully approved by ‘British Eventing’ .They are used in many countries and are designed specifically for equestrian use. 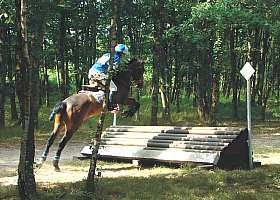 The anchors can be used for all types of jumps, including show jumps and advertising jumps, but are mainly used for fixing cross country jumps. 1/ Fix the T505 bracket to the jump using bolts or large coach screws. 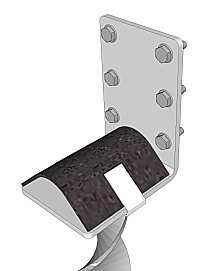 The brackets have 6 holes but often 3 or 4 bolts or screws are enough. 2/ When the jump is in position on the course, hammer the anchor through the slot in the bracket. The anchor will rotate, cutting an accurate thread in the ground. The slot prevents the anchor turning if the jump starts to lift. Removal is quick and easy - the anchor is simply unscrewed from the soil leaving negligible disturbance to the ground. We can supply a spanner but a standard adjustable spanner works well. The anchors can be used and re-used many, many times. 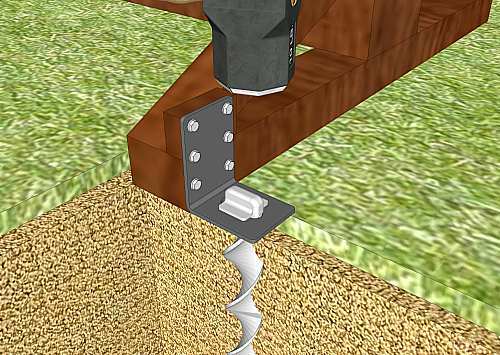 Why the Erdanker low profile, high safety ground anchors are almost certainly the best currently available system for use near cattle or horses. 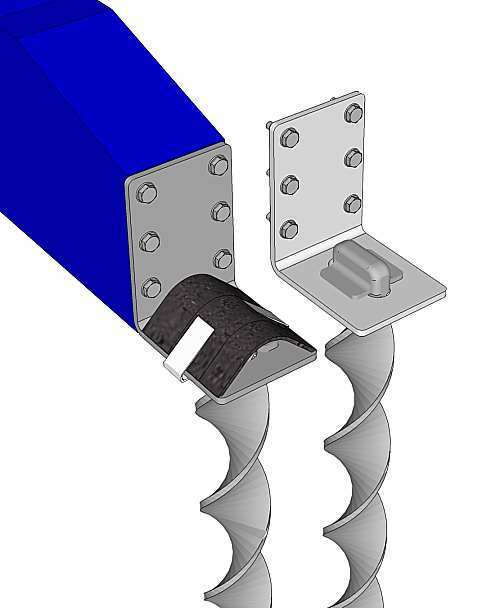 With a wide top and very low height, they offer the greatest safety of any anchor available. These anchors are designed specifically for use near large animals, such as cattle and horses. We offer a removal spanner but any large adjustable spanner can be used. All our anchors for equestrian use are in stock and usually shipped the same day or next day. Everything can be ordered directly from us any time day or night, 7 days a week. We accept all major credit and debit cards. You can also order by email and pay electronically directly to our bank. For the ultimate in safety, and in case the anchor needs to be hidden for aesthetic reasons, we offer an optional rubber cover. The cover clip simply slides under the T505 bracket, taking only a few seconds to fit. Is the jump used from both sides? Is the jump made in 1 piece or 2 pieces? If the jump is to be used from both sides, it is essential to use anchors front and back (it would be better to have no anchors at all than have them only on the back), the exception is if it's possible to mount them, not on the back or front but in the centre of the sides. Sturdy single piece jumps can sometimes use 1 anchor on each outside edge (instead of on the front or back), positioned towards the front, lighter jumps are better secured with 2 anchors each side or if very tall, on both front and back. 2 piece jumps need 2 anchors on each side, if the jump is to be used from both sides or it is fairly light, anchors will be needed at the back as well. 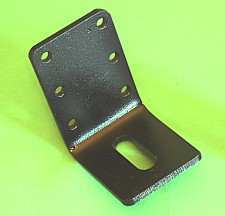 It is important that the brackets are bolted or screwed to a sturdy part of the jump. The 50x460LP is ideal for most ground conditions and is the most widely used equestrian anchor, the 50x660LP is used if the ground is soft or sandy. Both anchors use the T505 bracket. An optional rubber cover is available. 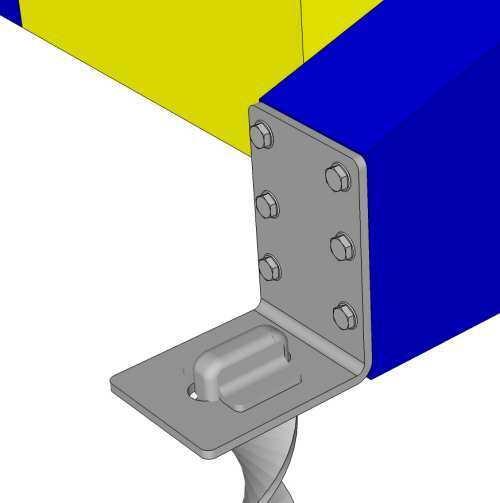 The cover is only for use with the low profile anchors and the T505 bracket. It can be fitted or removed easily. Spanner. Only for removing the anchors. It is useful but not essential.